We offer a variety of holistic rehab treatment modalities to meet client needs. Community and support systems are vital components to continued success via holistic rehab. Our Aftercare Program, free for West Coast Alumni, offers additional support for long term recovery. Our Alumni Program enables our clients to stay in touch with others on the same path towards a healthier, more fulfilling lifestyle. This is done in a safe and reliable space in which they may share their life experiences and continue to practice tenets of West Coast philosophy in their daily lives. Activities offered include community events, mountain retreats, beach bonfires, softball games, and more. Dialectical Behavioral Therapy: (DBT) is a mindfulness based treatment among the third wave of behavioral psychological treatments. DBT has been extensively researched and is recognized as an effective treatment for a sequelae of disorders associated with difficulties in emotional regulation issues such as Borderline personality disorder, substance abuse, post-traumatic stress, eating disorders, self-injury and suicidal behaviors. DBT Skills groups are one component of the full DBT, focused on enhancing clients’ capabilities through behavioral skills training. DBT skills train individuals to make more effective choices in line with their goals. Clients entering treatment often need support obtaining resources and with life skills. West Coast Recovery Centers offers referrals to resources helping clients in need of food, housing, medical, and transportation. Each client is assigned a case manager who will meet with them weekly to provide individual support obtaining resources and developing an aftercare plan. All clients meet with a therapist upon intake to complete a personalized assessment, including evidence-based evaluations to assess for depression, trauma, and anxiety. After completion of the assessments, clients are assigned an individual therapist. At minimum, clients will meet with their therapist one time weekly. All clients will complete an individualized treatment plan incorporating their strengths and needs, as well as goals for addressing substance abuse, mental health symptoms, and increasing life fulfillment. Eye Movement Desensitization and Reprocessing: (EMDR) is an integrative psychotherapeutic holistic rehab approach, which has been researched extensively and proven effective for treating psychological trauma. Studies show that EMDR increases blood flowing to the prefrontal and limbic cortices of the brain, which allows the brain to process traumatic memory. This allows traumatic memory to be recalled without emotional and physiological triggers. West Coast Recovery Centers’ holistic rehab program provides referral services to other community outreach organizations as needed. We believe it is important to provide individuals in recovery with a plethora of resources, promoting continual improvement of one’s quality of life . The goal of CBT in holistic rehab is to help the client identify unhelpful thoughts that perpetuate the cycle of substance abuse, shame, and self-criticism. By unearthing the reasons behind the compulsion to use substances, clients learn to modify their thinking patterns and find healthy ways to deal with cravings and prevent relapse. 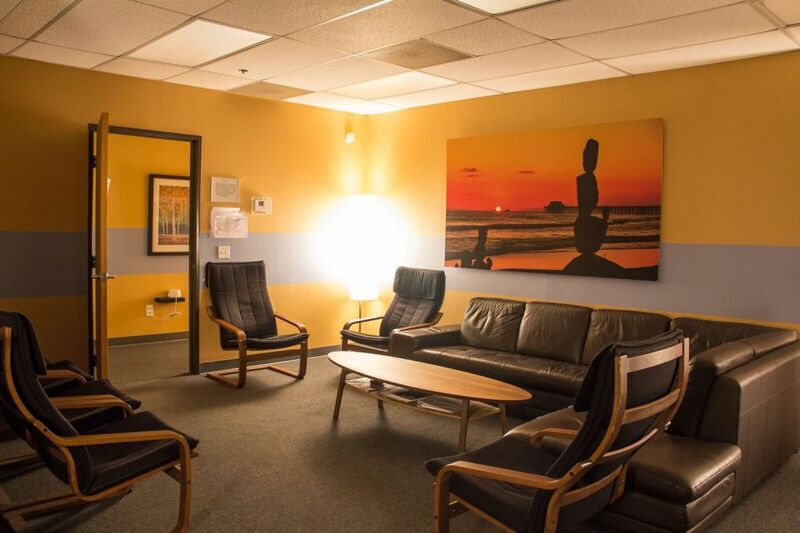 West Coast Recovery Centers clinical and holistic rehab treatment of co-occurring mental health and substance use disorders occurs at our Outpatient facility, conveniently located blocks from the 5 and Carlsbad State Beach. Holistic rehab clients participate in educational seminars and courses so they can learn more about themselves in relation to the science of addiction. What leads to chemical dependance and substance use disorder? Clients will explore questions like these in a safe, communicative environment. West Coast Recovery Centers offers it’s clients the ability to live in a sober environment, with houses in Carlsbad and Oceanside for both Men and Women. 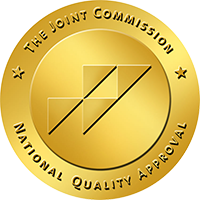 Transitional Living is the Joint Commission’s technical term for describing what’s traditionally known as Sober Living. However, Transitional Living is a staffed environment, providing a residential-like experience for clients simultaneously affording clients the freedom of traditional substance-free housing. AccuDidge: This unique combination of acupuncture and sound healing is offered by Specialist, Barbara Seymour, LAc, MS. Barbara utilizes the evidenced based National Acupuncture Detoxification Association (NADA) Five Point Protocol while playing the healing sound of an Aboriginal didgeridoo. Research strongly suggests the Five Point Protocol reduces cravings and anxiety and increases sleep. Studies have shown that practicing yoga increases the levels of the neurotransmitter GABA, which is often low in individuals who suffer from stress, anxiety, depression, and substance use disorder. Yoga takes advantage of the brain’s neuroplasticity, which is often the same characteristic that makes change so difficult. Depression, anxiety, stress, and other negative emotions activate the body’s nervous system and the emotional regions of the brain. The body eventually settles into these patterns, and even if the mind has insight, the body will continue to activate these physiological patterns unless this insight is embodied. While traditional therapies work exclusively with the mind, yoga engages the mind and body simultaneously, often inducing an experience of revelatory insight and general wellbeing. Clients participate in weekly yoga groups. West Coast Recovery Centers values the therapeutic benefits of creative expression. Research shows that utilizing creativity as a therapeutic intervention yields decreased symptoms of anxiety and depression and increased enjoyment and satisfaction. Clients participate in Expression through Creative Arts groups weekly. These specific art projects are designed to allow clients to become more vulnerable and engage with their emotional bodies in ways that don’t require explicit verbal processing. Clients also learn to practice mindfulness and stress reduction, identify inner inspiration and confidence, and challenge old patterns of negative self-talk through the subjective process of creating art. In addition, through the reflection and feedback received from peers, clients are receiving validation while building interpersonal skills. Issues of socialization, psychological development, exposure to trauma, and life experiences differ amongst men and women. West Coast considers each of these different, yet gender specific issues, when developing and re-examining our Men’s and Women’s programming in order to be responsive to all of our client’s needs. West Coast uses five core practices in developing gender responsive programming: relational, strengths-based, trauma-informed, culturally competent, and holistic approaches. Clients receive education in effective communication styles in this gender responsive group. They will learn to distinguish the difference between disempowering and empowering methods of communication. This process begins with the clients examining hidden beliefs that motivate their current communication style. The clients become aware of their self-image and thought process (self talk), and how this relates to their ability to communicate in a cooperative manner. Having self-compassion is comprised of understanding human commonality, practicing mindfulness and self-kindness, whereas lack of self-compassion indicates feelings of isolation, self-judgement, and overidentification with thoughts and emotions. Research shows that individuals who develop self-compassion skills are more likely to tolerate distress and employ emotional regulation as an internal coping strategy. The holistic practice of mindfulness and meditation enhances self-discovery by slowing down thoughts and inducing present-moment awareness. These methods of self-discovery can assist one in becoming more in tune with their mind and body, while engendering an increased sense of control over one’s thoughts, feelings, and behaviors. While in treatment at West Coast, clients participate in Guided Meditation, Walking Meditation, Mindful Self- Compassion, Sound Healing, Guided Imagery, Deep Breathing Exercises, Yoga, and Creative Arts Expression. Mindfulness and meditation are also effective in coping with symptoms such as anxiety and depression, making it an effective tool for clients struggling with co-occurring diagnoses. This holistic modality can be used in combination with many of our traditional therapies, providing a multitude of benefits extending beyond substance use disorder treatment. Clients also participate in gender specific yoga therapy weekly. Studies have shown that practicing yoga increases the levels of the neurotransmitter GABA, which is often low in individuals who suffer from stress, anxiety, depression, and substance use disorder. Yoga takes advantage of the brain’s neuroplasticity, which is often the same characteristic that makes change so difficult. Depression, anxiety, stress, and other negative emotions activate the body’s nervous system and the emotional regions of the brain. The body eventually settles into these patterns, and even if the mind has insight, the body will continue to activate these physiological patterns unless this insight is embodied. While traditional therapies work exclusively with the mind, yoga engages the mind and body simultaneously, often inducing an experience of revelatory insight and general wellbeing. Music therapy is an expressive therapy, consisting of a process in which a music therapist uses music and all of its facets — physical, emotional, mental, social, aesthetic, and spiritual—to help clients improve their wellbeing. Music therapists primarily help clients improve their health in several domains, such as cognitive functioning, motor skills, emotional development, social skills, and quality of life by using both active and passive music experiences such as free improvisation, song, dance, listening, and discussion of music to achieve treatment goals. Tension & Trauma Release Exercises (or TRE) is a simple yet innovative series of exercises that assist the body in releasing deep muscular patterns of stress, tension and trauma. Created by Dr. David Berceli, PhD, TRE safely activates a natural reflex mechanism of shaking or vibrating that releases muscular tension, calming down the nervous system. When this muscular shaking/vibrating mechanism is activated in a safe and controlled environment, the body is encouraged to return back to a state of balance. Bridging the Gap: In this gender responsive group, clients investigate how their faulty belief systems shape their perception of reality. Through experiential and interactive processes, clients’ faulty belief systems are challenged. Clients are provided choice points in which to hold on to maladaptive beliefs or adopt belief systems that support intentional living.